Rutledge was birthed in 1991. Armed with a rich history and capable managers, the company has built on its good reputation and extended the reach of the company throughout Asia. Over the past decade, the company has increased its suite of services and product offerings to our customers. Our clientele have grown and especially through our services outside upstream oil and gas. A stated aim of Rutledge is to continuously win the confidence of our customers and exceed their expectations. We wish to achieve this through innovation and technology. Our ability to continually offer services that win customer confidence is key to remain as a preferred service provider. Started with Detection and Protection of people in a hazardous environment, we offer add on services such as Elimination of H2S. 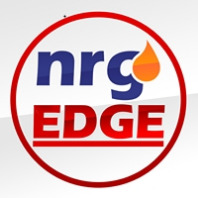 Rutledge is relentless in its search to support our customers with new products and services. In March 2015, with a brand new name as Rutledge Omni Services Pte Ltd, we move to multiple services platform bringing more offerings to our valued Clients. A new technology it offers is in the Non-Destructive Testing using acoustic wave to evaluate the integrity of tubes such as in heat exchangers, boilers, chillers and reactors. We gain recognition to launch Advanced Rutledge Inspection Services Expertise (Arise) simultaneously in 4 countries in Feb 2015. As we open up new bases and widen our sphere of operations, it is important that we standardize the services we provide across the globe. This we aim to achieve through tighter policies, procedures and audits alongside an effective HSEQ management system. Rutledge values its staff that has worked hard to uphold its reputation in the market place. Many have received long service awards and many others are instrumental for our success through the years. Min. 3 to 5 years as Procurement Supervisor/Officer, in oil & gas or related servicing industries.